Staffan Johansson summarizes his years of experience in the freelance translation business. The book is filled with practical easy-to-use information on how to become an efficient and well-paid translator. How about taking your writing skills, and that second language you learned in high school, and do something very profitable with them, entirely from the comfort of your home? Are you aware of the possibilities in the freelance translation business, that you can actually make a lot of money from your home if you're a good writer and ready to make the effort to be an efficient translator? Staffan Johansson holds an M.Sc. degree in Computer Science and has worked as a Translator, Proofreader, and Engineer in the translation industry. 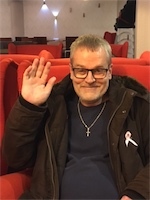 During his years in the translation business, he has completed many successful translation projects, mainly in the field of computer software documentation and help systems.